The wireless signal has relay function. Wireless function can be expanded by relay function. Besides, one receiver can be controlled by multiple transmitters which can set different ringtones to distinguish back from front door when you install one transmitter separately at back and front door. Likewise, one transmitter can control many receivers. The ringtones of doorbell are not fixed although the ringtone is the same because it is defaulted in our factory. Can be installed in house, office, hotel, community building, factory, construction site. It also can be the best gift for its new design and nice appearance. In addition, it can also be used as contact or paging alert device. 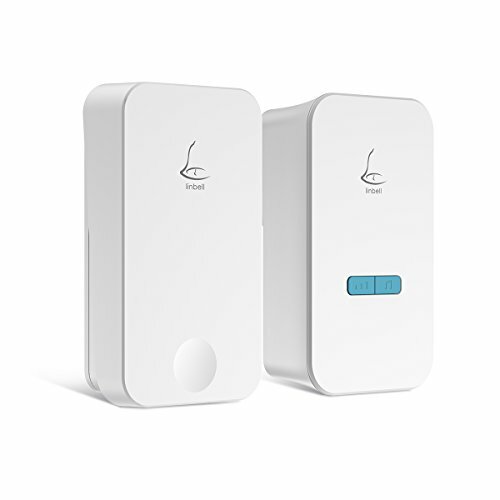 Linbell G4 doorbell can allow immobile or bedridden patients to conveniently page or contact their loved ones or care takers.